Enterome and Nestlé Health Science have teamed up to create a joint venture focused on developing novel microbiome-based diagnostics for areas that include inflammatory bowel diseases (IBD) and liver diseases. Microbiome Diagnostics Partners (MDP) will combine Enterome’s microbiome diagnostic programs and intellectual property (IP) in all therapeutic areas except immuno-oncology, with the diagnostics development and commercialization expertise of Prometheus Laboratories, a Nestlé Health Science company acquired in 2011, the companies said. MDP’s will initially develop diagnostics designed to assess and manage IBD, based on Enterome's IBD110 microbiome-derived mucosal healing biomarker. IBD110 is the first noninvasive gut microbiome biomarker surrogate marker of mucosal healing, according to Enterome, having been initially identified in a 100 patient longitudinal cohort of Crohn’s disease patients and further validated in an independent international cohort of 300 Crohn’s patients. MDP will also develop diagnostic products for progressive liver diseases [non-alcoholic fatty liver disease, (NAFLD), including non-alcoholic steatohepatitis (NASH)], all based on Enterome's MET210 biomarker. Prometheus has agreed to provide its serum-based biomarkers to both development programs. “The two initial programs have great potential to become differentiated diagnostics,” Greg Behar, CEO of Nestlé Health Science, said in a statement. “MDP is equipped to lead diagnostic discovery in the microbiome field, opening the door to innovative therapeutic approaches combining diagnostics, nutritional therapies, and therapeutics. Nestlé Health Science will invest €20 million ($22.8 million) in MDP in return for its 50% stake in the joint venture, as well as exclusive commercialization options on its initial programs. Nestlé Health Science has also agreed to pay MDP payments tied to achieving clinical and commercial milestones. Enterome and Nestlé Health Science reason that as research into the gut microbiome has accelerated in Western nations, a “major” opportunity has developed for creating new diagnostics and drugs. 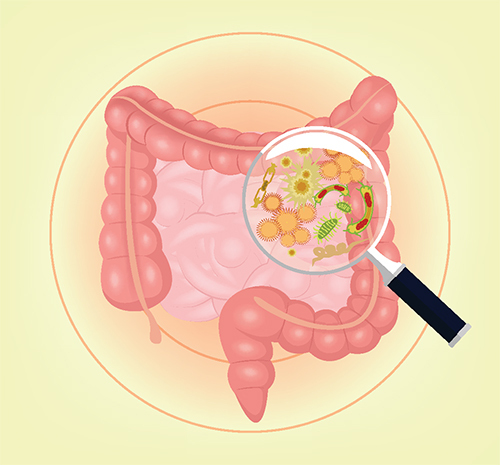 “Mastering the microbiome is an important facet of our strategy to advance the therapeutic role of nutrition and we see also new opportunities being created for personalized nutrition both for the healthy population and for patients,” Behar added. Nestlé Health Science is among strategic investors in Enterome, having contributed last year to the €14 million (about $16 million) Series C round raised by the company, which was established in 2012 in Paris. Other strategic investors of Enterome include Bristol-Myers Squibb (BMS), Shire, and INRA Transfert, a project management/tech-transfer subsidiary of France’s l'Institut National de Recherche Agronomique. Enterome is also backed by venture capital investors that include Seventure Partners, Lundbeckfonden Ventures, Health for Life Capital & Omnes Capital. Enterome’s platform centers around understanding mechanisms of disease processes associated with dysfunction of the microbiome. By learning more about the molecular mechanisms that govern how microbial communities and their host system interact, the company says, it can translate the resulting insights into disease pathogenesis into new diagnostics and therapeutics to be developed by MDP. Yet while MDP will leverage Enterome's microbiome-based platforms in diagnostic areas, the company will continue to focus applying those platforms itself toward the discovery of novel small molecule therapeutics, CEO Pierre Belichard stated. “The formation of Microbiome Diagnostics Partners is an important milestone for Enterome, as it brings together powerful and complementary technologies and capabilities to enable the creation of a new generation of diagnostic and companion diagnostic products,” Belichard said. Belichard will serve as MDP’s chairman, while Warren Cresswell, general manager and head of Prometheus Diagnostics, will be CEO and a member of the joint venture’s board.